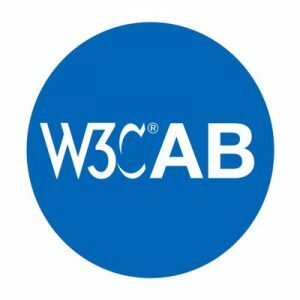 The W3C Advisory Committee has filled five open seats on the W3C Advisory Board. Beginning 1 July 2018, the nine Advisory Board participants are Michael Champion (Microsoft), Jay (Junichi) Kishigami (NTT), Charles McCathie Nevile (Yandex), Florian Rivoal (W3C Invited Expert), Natasha Rooney (GSMA), Tzviya Siegman (Wiley), David Singer (Apple), Léonie Watson (The Paciello Group), and Judy Zhu (Alibaba). Many thanks to Tantek Çelik (Mozilla) and Chris Wilson (Google), whose terms end this month. Read more about the Advisory Board. Created in March 1998, the Advisory Board provides ongoing guidance to the W3C Team on issues of strategy, management, legal matters, process, and conflict resolution. The Advisory Board also serves the W3C Members by tracking issues raised between Advisory Committee meetings, soliciting Member comments on such issues, and proposing actions to resolve these issues. The Advisory Board manages the evolution of the Process Document. The Advisory Board hears appeals of Member Submission requests that are rejected for reasons unrelated to Web architecture. For several years, the AB has conducted its work in a public wiki. The elected Members of the Advisory Board participate as individual contributors and not representatives of their organizations. Advisory Board participants use their best judgment to find the best solutions for the Web, not just for any particular network, technology, vendor, or user.